The book deals with the concept and determinant of Food Security and enquires the Food Security at Household Level in Aligarh District of Uttar Pradesh (India). 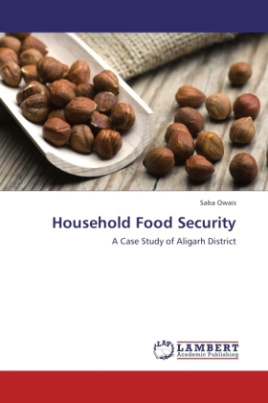 It is a micro level study (block and village) shows variation in Food Security at household level within a district, in which two villages from each block have been selected for extensive field survey. The study reveals the actual status of food security and its various determinants (availability, accessibility, stability and utilization). It is hope that the present book completed in a highly structural and readable style. It will be useful for academic purpose involving in various discipline of social science especially Population Geography and helpful for framing viable action plans for the micro level development.